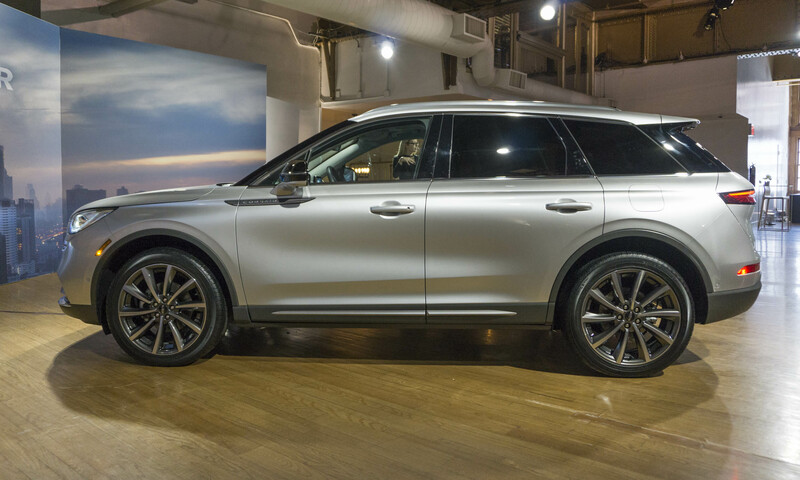 Lincoln — Ford Motor Company’s premium division — has been introducing new sport-utility vehicles at a frenzied pace, and apparently the company isn’t finished. Joining the new Navigator, Nautilus and Aviator will be an all-new luxury 2-row crossover, the Corsair. 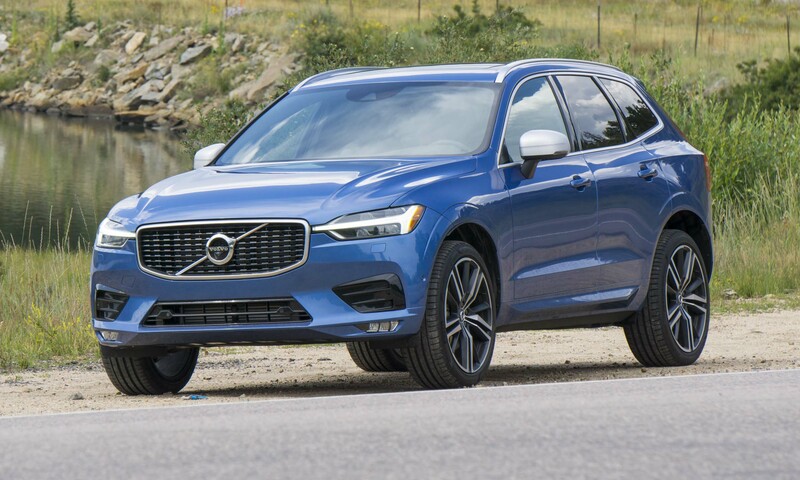 Loaded with the latest in safety and convenience technology as well as a luxurious interior, the Corsair should make a big splash in the competitive small luxury crossover market. 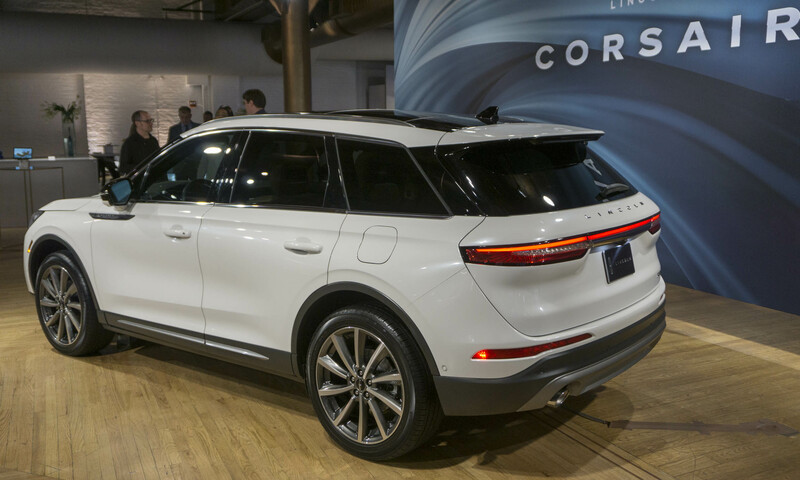 “Entering the fastest-growing luxury segment, the all-new Corsair is artistically crafted, expertly designed and infused with our unwavering attention and commitment to detail; it’s unapologetically Lincoln,” said Joy Falotico, president of the Lincoln Motor Company. 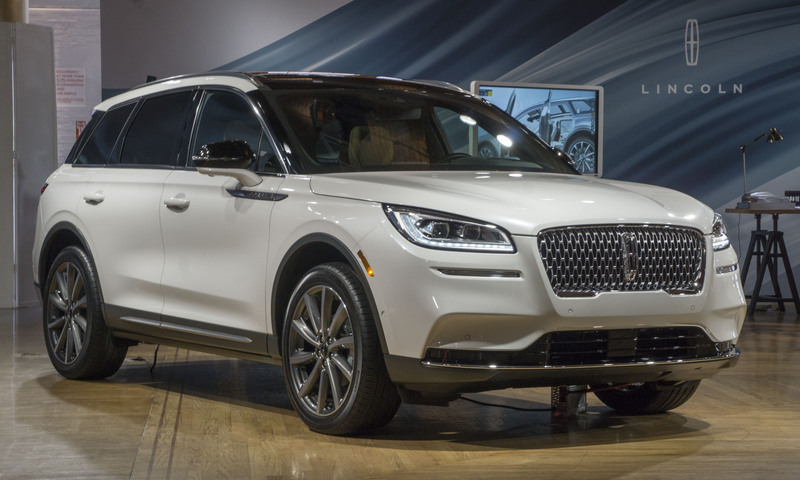 “Corsair’s addition to the portfolio means Lincoln now has a full family of SUVs to exceed the needs of our luxury clients,” Falotico noted. 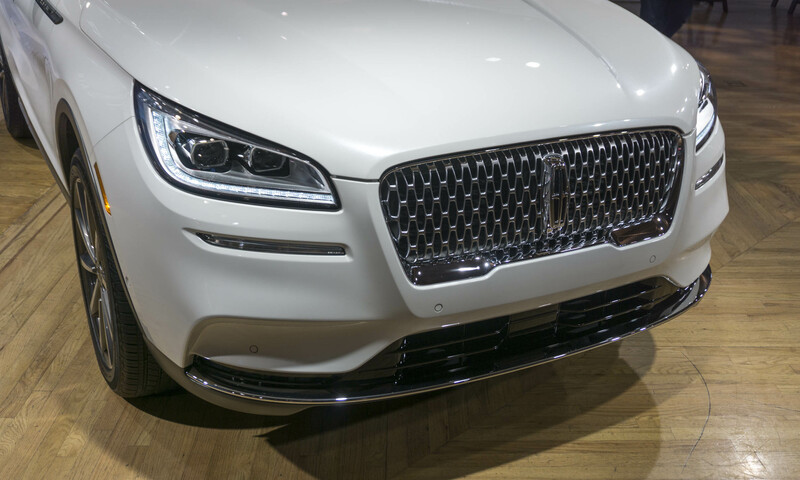 The new Corsair will be easily recognizable as a Lincoln thanks to styling cues borrowed from the larger Nautilus and Aviator models — specifically a very similar grille and headlight treatment. However, the Corsair does have an overall style of its own with deep contouring along the side panels, which adds depth to the overall design. “Human hands worked to develop those sculpted S-curves and sides, all of which play off light and movement. 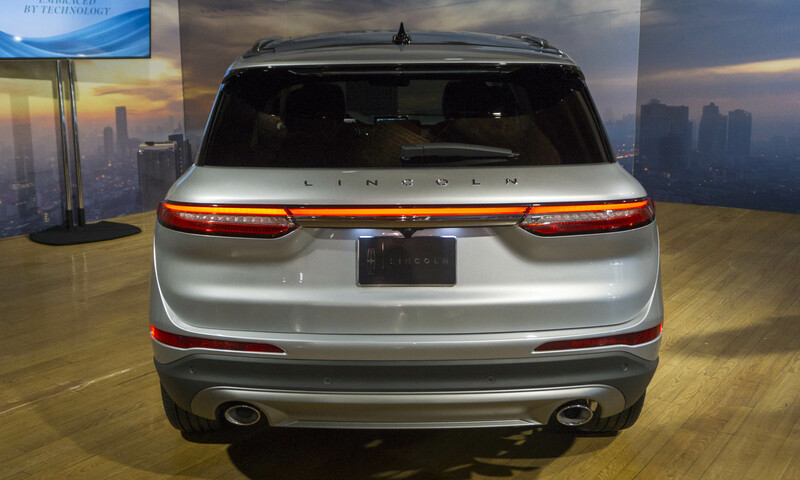 It is virtually sculpture in motion, a vehicle definitely meant to seduce,” observed David Woodhouse, director of design at Lincoln. The aft end of the Corsair has a very wide hatch integrating taillights that wrap around the corners of the vehicle. With a light bar connecting the lights, the overall impression makes the Corsair look wide and substantial. The large rear door opens to provide an impressive amount of cargo space that can easily swallow multiple large pieces of luggage or other large cargo. Rear seats can be folded flat to increase the Corsair’s volume, utility and capability. 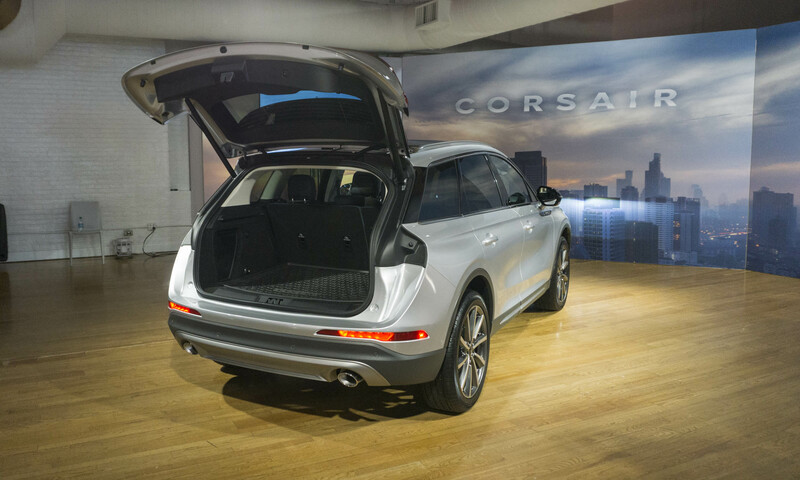 The Corsair may be an entry-level model in the Lincoln lineup, but inside it is still all Lincoln. 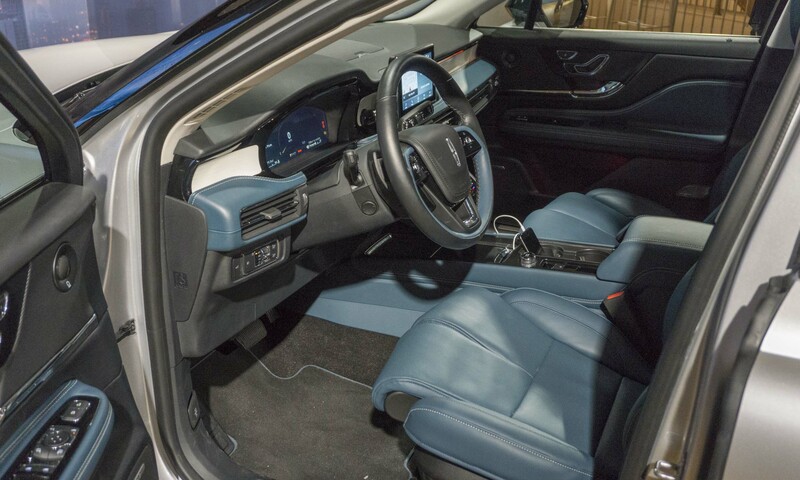 Upscale materials create a premium feeling within the cabin, and a dual-wall dashboard with composite sound insulation provides a quiet interior. Corsair also features Active Noise Control, and sounds that occupants do hear are chimes recorded by the Detroit Symphony Orchestra. The quiet interior can also be surrounded in sound with an optional 14-speaker Revel premium audio system. The company expects that many Corsair customers will be first-time Lincoln buyers, so brand ambassadors want to be certain that even entry-level buyers receive a premium experience. 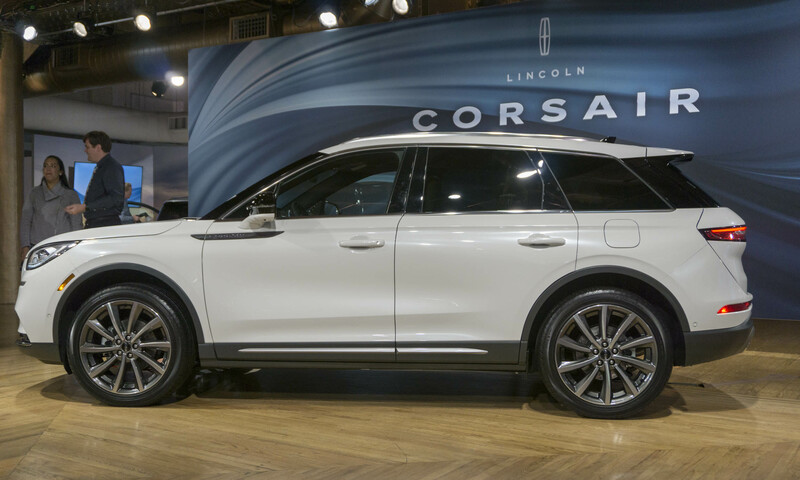 Lincoln will also offer Corsair with Perfect Position seats that provide the driver and front passenger with 24-way seat adjustability, as well as lumbar support and massage functionality. 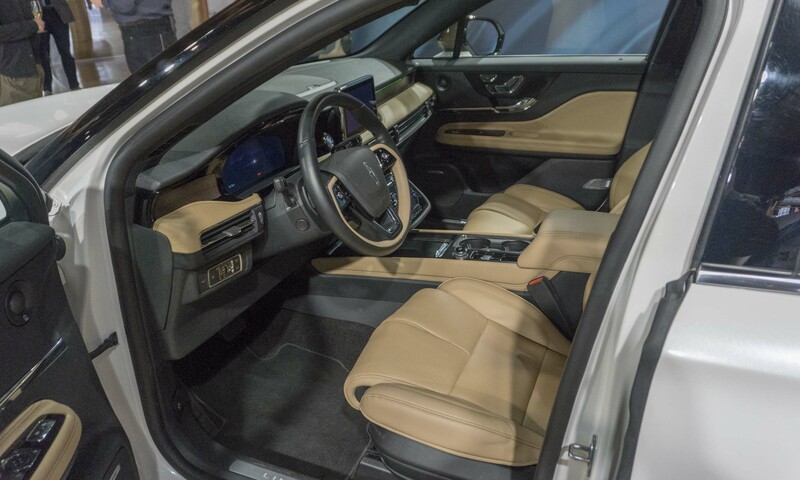 Although rear-seat passengers will miss out on the massage, they do get plenty of legroom. 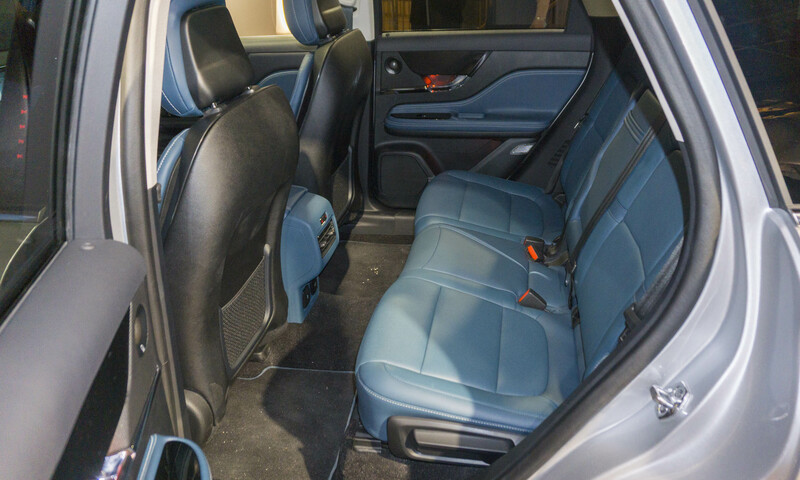 Rear seats can also slide forward to maximize cargo space. Corsair will be available with a choice of three color-themed interiors: Beyond Blue, featuring a vivid blue and white palette; Cashew, with a rich tan and black blend; and Medium Slate, which gets a soft gray with ebony accents. 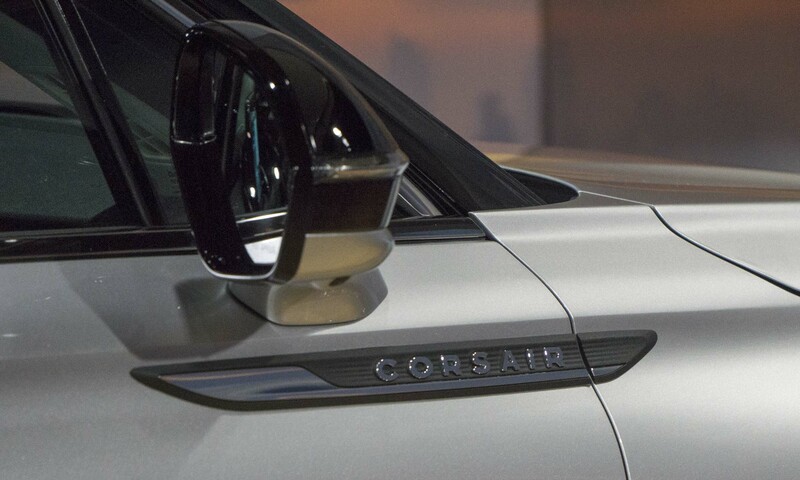 Advanced technology has become synonymous with automotive luxury, and Corsair fully embraces that notion. Owners will be able to use their smartphone as a key to the Corsair. 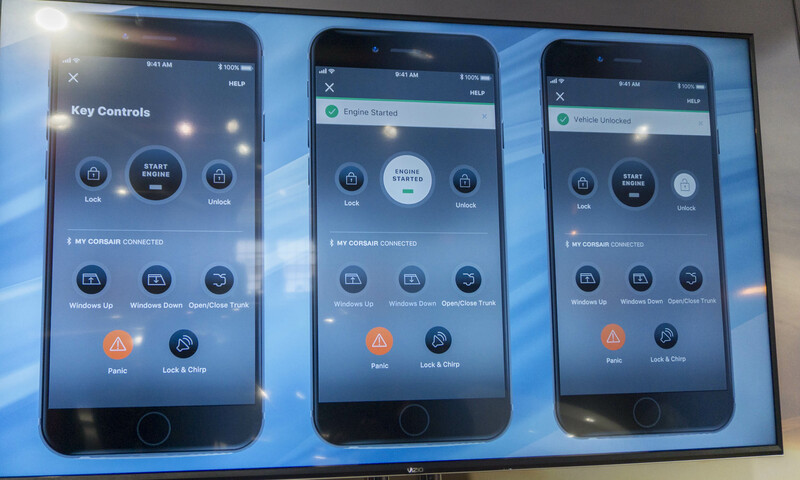 With the Lincoln Way app, a driver’s phone can lock or unlock the vehicle, open the tailgate or even start the car — eliminating the need for a key fob. Using the smartphone as a key also adds a level of personalization; up to 80 different features can be adjusted to the owner’s preferences, including seating, mirror and pedal positions. As with other models, Corsair will be equipped with the latest high-tech safety features as part of Lincoln’s Co-Pilot360. Pre-collision assist with automatic emergency braking and pedestrian detection, blind-spot information systems, lane-keeping assist, automatic high beams and a rearview camera are all standard on every Corsair. 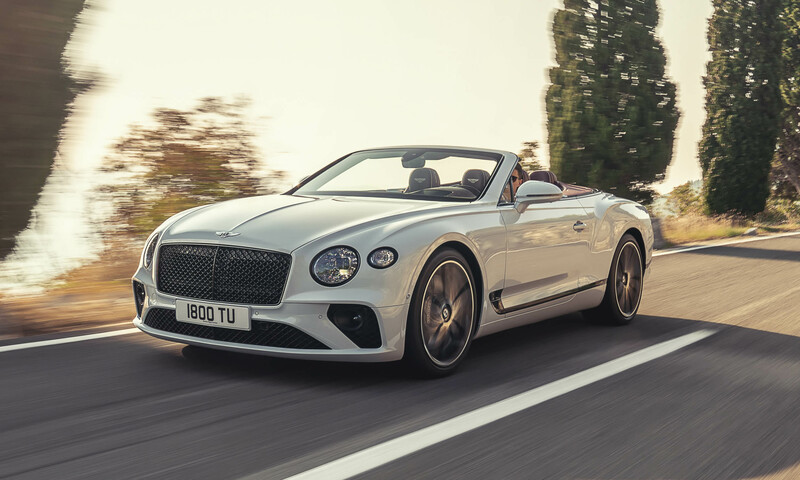 Also available will be Co-Pilot360 Plus, which adds adaptive cruise control, evasive steering assist, reverse brake assist and active park assist plus, which will automatically park the car with the push of a button. Two engine options will be available for the Corsair — and both are turbocharged. 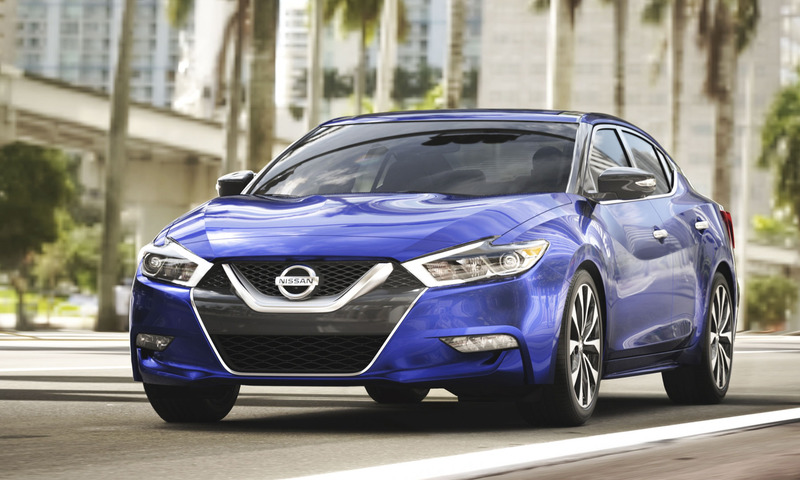 The standard powerplant is a 2.0-liter turbo that will deliver an estimated 250 horsepower and 275 lb-ft of torque. Customers looking for a bit more oomph can opt for a 2.3-liter turbo that produces an expected 280 horsepower with 310 lb-ft of torque. Both engines will be teamed with an 8-speed automatic transmission. 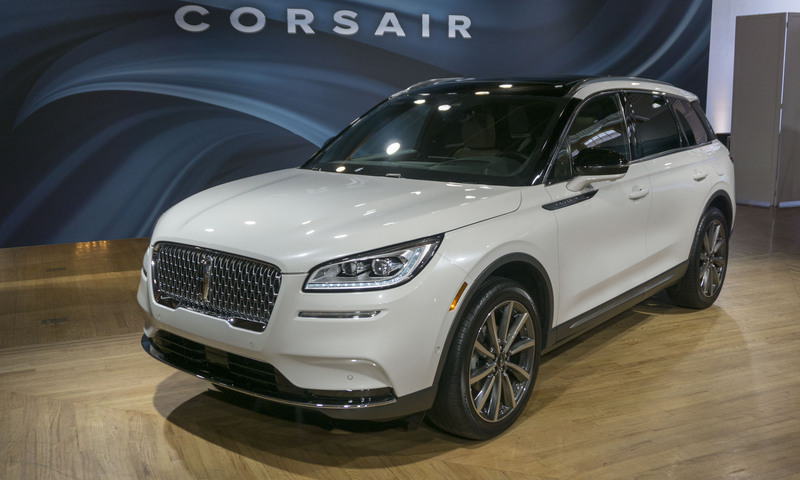 Lincoln will offer Corsair with the company’s Intelligent all-wheel-drive system — available with either engine choice. 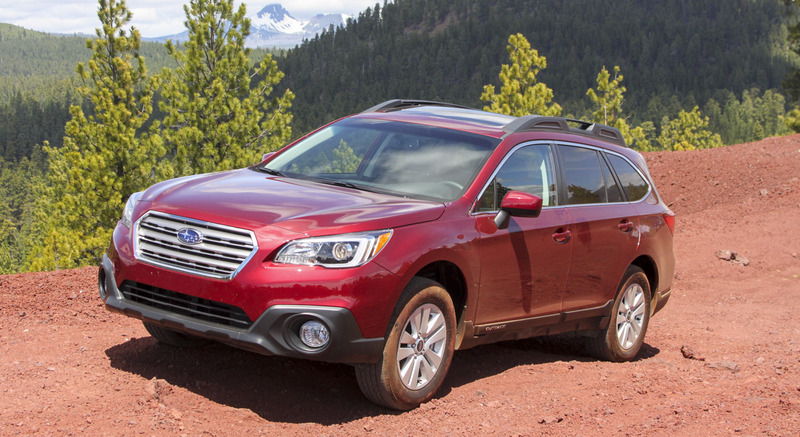 The system can switch seamlessly between front- and all-wheel drive and will disconnect the all-wheel-drive system when not needed for better fuel efficiency. The driver can also choose from five different drive modes: Normal, Excite, Slippery, Deep Conditions and Conserve — to set up the vehicle for success in a variety of conditions. The Corsair will be built at Ford’s Louisville Assembly Plant in Louisville, Kentucky, with vehicles arriving in showrooms this fall. 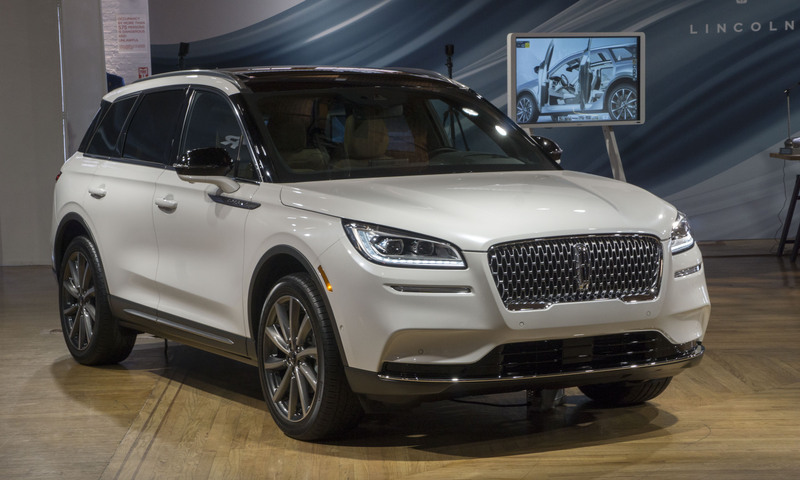 The new SUV will also be built and sold in China, where Lincoln has a fast-growing presence.